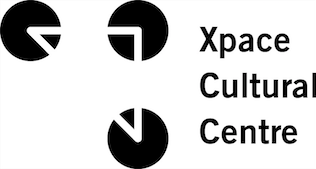 Xpace Cultural Centre is seeking work from emerging and/or student artists for an exhibition examining how hope as an affect can carry out the work of world-building, productively imagining the possibility of liberation. Curated by Maandeeq Mohamed, the exhibition will run from June 16-July 15, 2017. Work in all mediums will be considered (including, but not limited to: drawing, painting, photography, video, sculpture, installation, and performance). From the Afrofuturist imagination’s call to imagine alternative futures for black life, through to manifestos whose texts demand an end to state violence, we have always been hoping for a better world. “to hope” invites submissions that offer what J. Muñoz would call a hopeful “glimpse [into] the worlds proposed and promised by queerness.” How does hope allow us to envision the possibility of worlds that could never be realized in our current moment? What does a future where all of us get to survive look like? In what ways is “hope” taken up in the art of racialized, trans, and queer communities? If, as Audre Lorde states, “poetry is not a luxury,” then we cannot afford to rule out the possibility of a different world for us all, a future constantly realized through our art. Works must be ready for exhibition by June 5, 2017. Selected artists will be notified in late January. All selected participants will be paid a project fee for the exhibition. 1. Artist Statement (250-500 words): The Artist Statement should give a description of your overall practice as it relates to the project you are proposing. 2. Project Description (250-500 words): The project description should give a clear and concrete description of the work you are proposing for installation. If you have any questions about the proposal process please contact either Geneviève Wallen at [email protected] or Cameron Lee at [email protected]. Applicants will be notified in late January 2017 of their proposal’s status. Xpace thanks all applicants for their interest.